…disappointing. There, I said it. This is what happens when I let my expectations go unchecked I suppose. Let’s start with some positive things before I explain myself though. I hate to lead with negativity. The presentation started with a trailer that told us very little about the upcoming Daemon x Machina. There are robots, they look cool, they are fighting. That’s about all we got. The music was pretty awesome, I got some serious Doom vibes from it. I’m interested to see more of this game, though as is there’s nothing to get excited about. Next up, that Xenoblade Chronicles 2 DLC has me ravenous for more of that game. Setting the DLC in the mysterious past that the main game established is a brilliant move. It allows for a substantial amount of narrative weight and character development without negatively impacting the structure of the main story. I’m hoping Addam isn’t the Gary Stu that the characters make him out to be though. He’s going to need some kind of character flaw to be interesting. The characters in the main story were constructed well enough that I don’t think that will be a problem, but it’s certainly a possibility. Also we won’t be getting Skye Bennett’s lovely Pyra voice, since Mythra was the Aegis’ only personality in the time period in which the DLC takes place. I hope she lays off the tsundere just a bit this time, it was a little much for me on my first playthrough of the game. Those are just nitpicks though, all in all I’m very excited for this DLC. We got a bit more on Pokémon Let’s Go, but the next interesting information came in the form of Super Mario Party. Nothing crazy here, but it looks like a solid entry in the long-running franchise. The most recent games failed to live up to my expectations for the series (which weren’t all that high to begin with), so I’m encouraged by the newest entry’s apparent return to form. The minigames were the highlight; they really seem to be taking advantage of the Switch’s unique hardware capabilities with a lot of them, but they don’t appear to excessively rely on gimmicks. Another decent reveal so far. Here is where we start getting into some problems. I can’t quite place it, but something seemed off about the Fire Emblem trailer. First of all, is it really called Fire Emblem: Three Houses? That is an… underwhelming title to say the least. Second, the gameplay that was shown seemed fairly minimalist and barren. In theory I like the idea of showing squads fighting with each unit, it would certainly make the battles feel more large-scale and realistic, but from what we saw there doesn’t appear to be a whole lot going on. The maps look like large, empty expanses, without any of the devious cleverness that Fates had in spades. It’s definitely far too early to make any kind of serious judgement, but this one had me starting to worry about the quality of the presentation. Skipping over Fortnite and the bevy of already-announced titles, the main event was where I had my highest hopes. Super Smash Bros. baby. There’s no way this could let me dow- oh there are only two new characters. Alllllright then. Look, I’m excited for Super Smash Bros. Ultimate. Don’t get me wrong. Every character is returning? Sign me up. Nerfing shield roll, bringing back directional air dodge, and generally making every character faster? Check, check, check plus. Link Between Worlds Zelda? You could not have picked a better-looking version of that character. But the lack of new content made it impossible for me to go nuts over any of the information. Character reveals are my favorite part of the hype for Smash games, so I felt a bit defeated when every character was revealed at the same time without much fanfare. The Ridley reveal was actually spectacular, but the knowledge that it would most likely be the only one ruined it for me. Alright sure sure, everyone is here. But who else? This problem goes beyond personal preference. Since Smash Ultimate appears to rely so heavily on content from previous Smash games, it’s hard to call it a proper sequel. A new coat of paint, some mechanical tweaks, and two new characters does not feel like enough to justify the title change. People seem to be impressed that all of the characters are coming back, which I don’t understand. Smash 4 had almost every one of these characters, save Snake, Wolf, Ice Climbers, Ivysaur, Squirtle, Toon Link, Pichu, and the brand-new Inkling and Ridley (oh and Daisy. She’s so irrelevant that I almost forgot her). That’s a difference of ten characters from the previous Smash game. The rest of the roster is identical. The new stages seem sparse as well, with most of the spots taken up by remastered old stages. 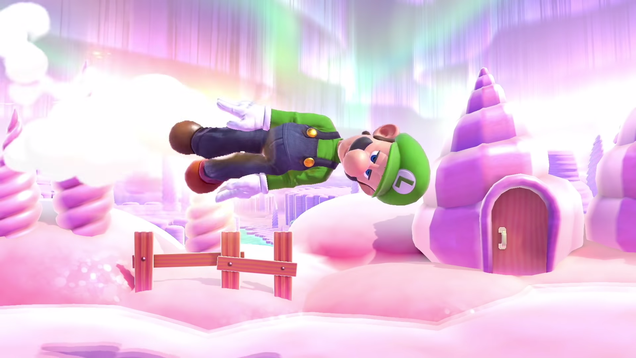 Smash Ultimate feels like an amalgamation of every previous Smash game instead of one with its own identity. Calling it Smash 5, or the doing the equivalent by giving it a new subtitle, just seems disingenuous. Then after Smash the presentation just… ended. Really? That’s it? Where the hell is Metroid Prime 4? Or that new Yoshi title? I’m not going to join the Animal Crossing crowd and complain about that series’ neglect, but it seems fair to have expected an update on what was announced last year. The Treehouse stream started up, and I guess they played Pokémon Let’s Go. I don’t know. I had to go back to work, dejected at the waste of my lunch hour. Let me make something perfectly clear. I am looking forward to all of these titles. I will purchase them the day they come out, and I will most likely enjoy the hell out of them. I just built up the possibilities for today’s Nintendo Direct up in my mind enough that what was delivered was unsatisfying. That’s all. A little disappointment never killed anyone.